Data center is the heart of your operation, with fiber patch panel the nerve center for the cabling network. 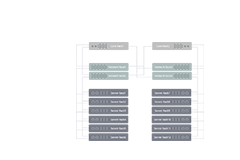 The patch panel offers an elegantly simple solution for incorporating flexibility, manageability and scalability into high-density fiber channels. When it comes to selecting fiber patch panels, how to make your choice valid and wise? A little knowledge of the evolvement of fiber panels would help. Data centers would not be complete without a critical component – fiber patch panel. Simply put it, the patch panel is “where all the horizontal cabling in the infrastructure is consolidated”. 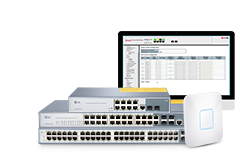 It enables the data being transmitted to arrive to its destination, functioning as an indispensable components in today’s cabling system. So what makes patch panel a necessity in data center? Generally found in a telecommunications closet, fiber patch panel provides ease of administration by enabling the process of moves, adds and changes (MACs) in complex spaces. It lets you terminate cable elements and connect the signal to its final destination via a patch cord. The unceasing need for network speed and efficiency makes data center a more demanding place, and patch panels also evolve to satisfy it. Before we go any further, let’s have a brief overview of scenarios in which fiber patch panel is needed. Although there exists a dazzling array of patch panels of different sizes and functions, they are generally used on racks or with fiber enclosures. The following video will demonstrate it in details. Install FS FHD FAPs (fiber adapter panels) and MTP/MPO cassettes on the 1U rack-mountable fiber enclosure, as it can hold up to 4 FHD FAPs and MTP cassettes Remove the front panel of this fiber enclosure, and replace it with FS FHU fiber adapter panel. Mount a 1U cable management panel on the rack, and insert FS FHD FAPs into the panel Mount a FS FHU patch panel directly to the rack, then add horizontal management rings at the front and a lacer bar at the rear to secure the cable. 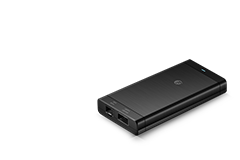 The combination can be varied since the fiber enclosure enables much flexibility. As for cabling inside fiber enclosure, we can simple remove the cover of this 1U fiber enclosure, and put either fiber splice tray or slack spool to organize the cable, depending on your cabling environment. How Does Fiber Patch Panel Help in Network Cabling? 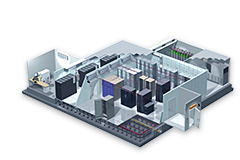 When designing a data center, deciding which interconnectivity system to deploy and how to configure them should be at the top of your list. The majority of manufactures are making cable management a primary focus when choosing patch panels. In this part, we’ll focus on the components in the aforementioned fiber patch panel solution. Patch panels are one of the few components used in both copper and fiber cabling environments. Although fiber optic cable has proven itself to be a reliable alternative in transmitting data, copper cabling still holds a solid position in data center. So in some occasions we need to integrate fiber and copper to take advantage of both solutions. A multimedia modular panel makes the process simple and cost-effective. The multimedia modular panel allows copper outlets to be mixed in the same rack mount space as fiber modules, offering exceptional versatility and robustness to your system. It accommodates up to six different keystone jacks and adapters, suited for Cat6a/6/5e/5 Ethernet cables and LC/SC/MTP fiber patch cables. There is a time when data traffic keeps accelerating that legacy 10/25G systems fail to handle, making migration to higher-speed 40/100G imperative. 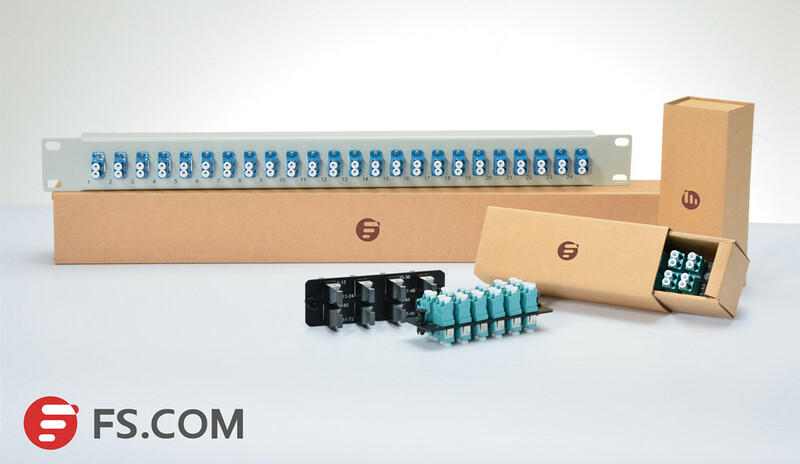 In this case, the 96-fiber MTP-LC breakout patch panel can assist in making the connection. Simply use MTP cables to connect your 40/100Gb switches to the rear ports of the panel, then add duplex LC cables to connect your 10 Gb devices to the breakout panel's front ports. 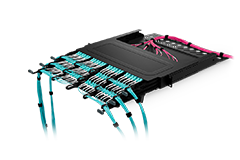 This MTP-LC breakout patch panel is designed with a removable cable management plate at the back, it effectively simplifies trunk cable organization, facilitates installation and reduces cable clutter. The world revolves around digital data and its growth. We now rely on data to conduct business, engage in social activities and manage our lives. Therefore, network must keep peace with the insatiable demand for bandwidth. 40/100G is thus becoming ubiquitous in today’s data center, and choosing the right cabling component can combat the issue of balancing manageability and performance. 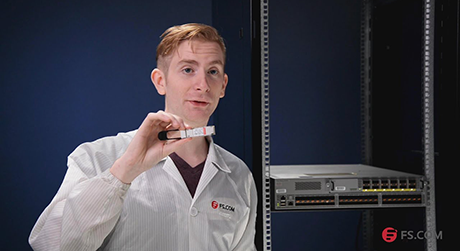 FS FHD fiber adapter panels, loaded with LC/SC/MTP adapters, can be used as the intermediate connection between the backbone and patch cable. 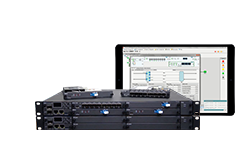 It allows for up to 96 fiber rack-mount enclosure installation- plug and play design enables quick removal and installation without any tools, providing affordable and compact solution for your network. FS FHD fiber adapter panels are made with the same size of those of Panduit’s. So if you have Panduit enclosure at hand, you can be confidence to insert FS FAP into Panduit enclosures. It works well just as the original one while with only a fraction of the cost. FHX is an upgraded version of FHD series – this extractable fiber adapter panel is well fitted for ultra high-density cabling environments. Loaded with 3 LC (or SC/MTP) quad adapters, it is optimal to connect backbone-to-backbone or backbone-to-horizontal fiber cabling. 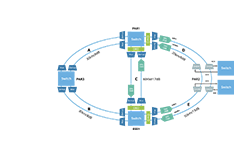 FHX effectively reduces congestion within and between racks for improved airflow, eliminating the risk of downtime and time for MACs. 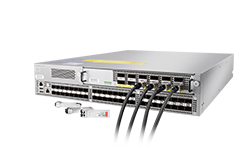 There is no need for fiber cutting or termination because these fiber optic panels simply plug and play into your 10G or 40G/100G network applications. Myriads of wires and cables forms the foundation of data transmission, and to properly handle them is never easy. So here comes the detachable cable management panel: with compact 1U design, it can work independently or along with other cabling products – exactly all the aforementioned ones. This panel significantly reduces cable clutter thus allows more cable bundles installed in rack and enclosure space. While highly functional, patch panel is beneficial for eliminating cable clutter, leaving sufficient space for air flow and maximizing performance and scalability of your data center. 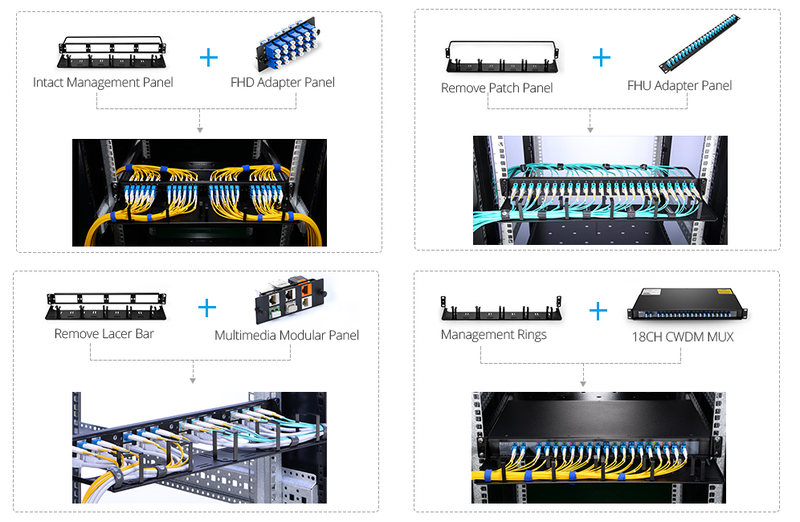 FS patch panel solution is developed to support your growing network, providing fiber connectivity suitable for high speed networking systems and protection of fiber optic backbone terminations. 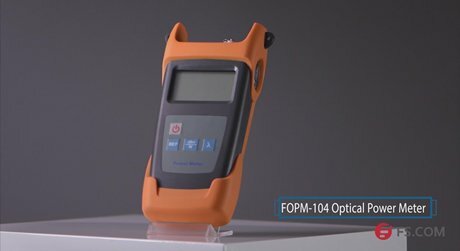 How to Use Optical Power Meter for Optical Power Measurement? 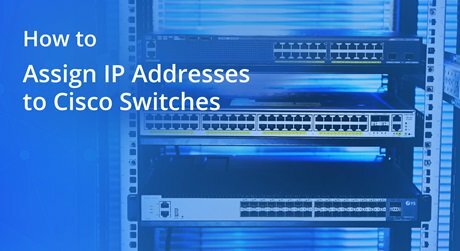 How to Assign IP Addresses to Cisco Switches?